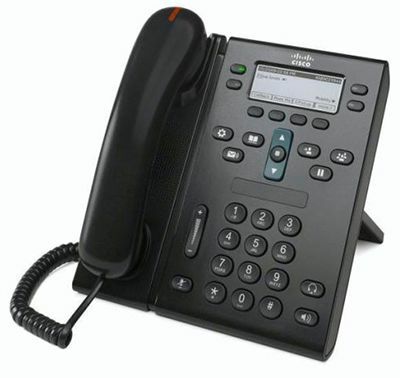 The Cisco 6941G Unified IP Phone is an innovative IP endpoint that delivers affordable, business-grade voice communication and support for video communications services to customers worldwide. The Cisco 6941 IP Phone supports four lines and a full-duplex speakerphone for a more productive, more flexible, and easier-to-use endpoint experience. The Cisco Unified IP Phone 6941G supports multi-call per-line appearance, offering end user the opportunity to handle multiple calls per directory number (DN). Fixed keys for hold, transfer, and conference; tri-color LED line and feature keys also make the phone simpler and easier to use. The 6941G IP Phone offers personalization, with the choice of two colors (charcoal black and arctic white). Right-to-left language presentation is also supported on the displays, addressing the language localization needs of global customers. The Cisco 6941 IP Phone is also more energy-efficient and eco-friendly, in support of customer green initiatives. A Deep-Sleep option provides energy savings. With this option, the Cisco Unified IP Telephone 6941 consumes up to 50 percent less power in off-hours versus when the phone is idle during normal business hours. In addition, reground and recyclable plastics deliver a more earth-responsible solution.